16 years ago I located my birth family, both maternal and paternal side. 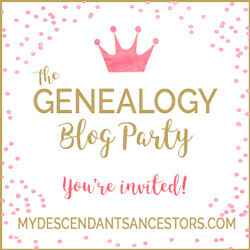 After literally years of searching, even before the help of the internet, I just couldn't stop searching so I began digging into my new found families past. The journey has been amazing as we connect and reconnect lost and found generations. On March 1st, under the title of The Search Continues For Our Missing Haimowitz Sister, I had outlined my continued effort to try and discover who the sister of my great grandfather Samuel Haimowitz and his brother Marks Hyamovitch was. This brick wall in our family stories continues to haunt me. Who are you lady with the glasses along with Samuel your brother and niece Freda, daughter of your brother Marks? In the post on March 1st, I had written that I had sent away for the marriage certificate of Nathan Schoenfeld and Celia Haimovitch; 10 June 1908. I received the record yesterday, again a disappointment. She was not our missing sister. My thinking for sending for the marriage or death records of women with the maiden last name of Haimowitz, Hyamovitch and or any similar variations, is to match her with the parent’s names of Hyman Haimowitz and Ida Greenblatt. As you can see with this record, Celia’s parent’s names were Joseph and Dollie Rubenstein. My hypothesis is the assumption that once she immigrated from Romania she married in the states. This, of course, can be flawed. She may have married in Romania, she may have even made a stopover in England, where Marks and his family settled, met and married over there and then continued to the states. Family history does indicate that she lived and was married in the N.Y. area though. ©2019, copyright, Sharon Haimowitz-Civitano. All rights reserved. Continuing to work on some of my brick walls, I know they will eventually come tumbling down but for now, they are still standing strong and impregnable. There is my ongoing search for our missing Haimowitz sister and our ongoing family search for Srulowitz/Strulowitz family members. As of this blog post we, me, has never connected with any other Srulowitz family member other than knowing the name of my 2x’s great grandmother Rebecca Srulowitz along with her parent’s names, Samuel Srulowitz and Minnie Cohen. At this point, I have virtually no hope in discovering who Minnie may have been or connected too but for Rebecca….hope is alive. I have graphed 4 distant DNA connections I am sitting on. Sitting on them since I have reached out through Ancestry to all of the researchers but have not heard anything back from anyone. It has been months but as I said…hope is alive. Using their trees and the information gleaned from them I am continuing to look for connecting threads and more matches. Our Srulowitz’s connect in New York and into Chicago, Ill. Pieces of the puzzle for sure but with too many to be found to see the complete picture. My next step will to really take a look at this family and try and graph the generations. For me, it just seems too far back to be able to make the connection. Continuing with my search for our missing mystery Haimowitz sister, I am asking for some help, opinions please, in trying to identify two photos. Certainly not scientific, but could move us forward with our mystery. Shared with me by my cousin Karen (London Hyamovitch branch) in response to my last posting, are these two photos of an unidentified woman. 1: Do you think this could be the same woman? 2: Could the woman in the younger photo be our missing mystery Haimowitz sister? 3: In this group, the older woman is Polly Hyamovitch, wife of Marks Hyamovitch. Could this photo of the younger woman be Polly? Still searching for our missing Haimowitz/Hyamovitch sister. That’s her on the left, the older woman with the glasses. In the middle is her brother Samuel Haimowitz with their niece, Freda Hyamovitch/Hyams. Samuel’s brother was named Marks, father of Freda. With March on our heals and the year in full swing, I wanted to keep a family mystery and search for a missing sister in the forefront. Last year with the help of this blog and this picture, we were able to connect two branches of a family, long lost and now connected, that stretched across the Atlantic from London to New York. 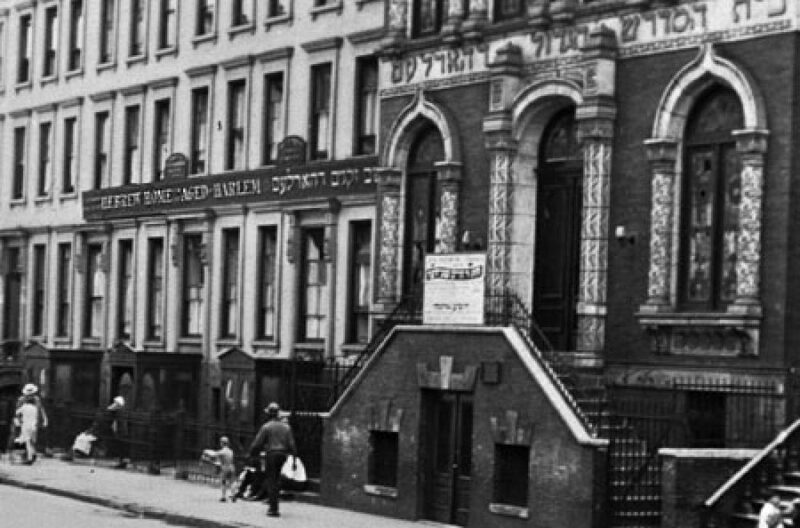 The London branch spelled their last name as Hyamovitch/Hyams, while the American branch used Haimowitz. The parents of our mystery sister were Hyman Haimowitz/Hyamovitch and Ida Greenblatt. Still lost to us all is the name of Samuel and Marks sister. The family originated in Odessa then moved into Romania and made their way up into Iasi. From there Marks (born 1880) immigrated into England around 1901 and at about the same time Samuel (born 1875) immigrated across the ocean with his wife Rebecca and two boys, Hyman and Pincus. A distant DNA match sparked my interest. Leaving no stone unturned, I have sent away for the marriage license of Celia ‘Tillie’ Haimowitz (born 1890), on the license it is spelled Hiamovitch, to a man named Nathan Schoenfeld. Both Nathan and Celia were from Romania. The birth date for Celia seems to fit. I have already sent away and received documents for the following couples, but have determined the woman not to be our missing sister. Emma Haimowitz married to Martin SugoffLugoff, Bessie Haimwoitz married to Jacob Sasslovsky, Ida Haimowitz married to Harry Weisberg, Sarah Haimowitz married to Samuel Blum, Rachel Haimowitz married to Marcus Steinberg and Jennie Haimowitz married to William Babit. This wonderful photo of my Uncle Sheldon was recently shared with me by his sister, my Aunt Rochelle. This next picture is also from Rochelle of her son David on his special day On each side of David is Brenda (1950 – 2017) and Sheldon. Brenda is Sheldon and Rochelle’s younger sister. In finding my birth family I had the honor of meeting Sheldon one time before he passed away 6 weeks later. It was a shock to everyone as it was not expected. But overriding all the feelings of sadness in not getting to know Sheldon better I am blessed to know him through the eyes of my found family. Molly is my great aunt, sister to my grandfather Isidore Haimowitz. She was the youngest of 5 siblings, Hyman, Pincus, Fay, and Isidore. Born in 1911 she married Louis Petchers on 9 December 1933 in the Bronx. They had one adopted daughter named Roberta ~ Roberta had no descendants.